When we are closed Cambridgeshire NHS is responsible for emergency cover and emergency medical care is provided by the NHS 111 service. When we are closed your call will be automatically diverted to 111. 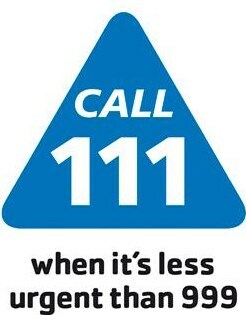 Please remember that this service is only for emergencies or other genuinely urgent medical problems. By its nature there are inevitably times when the service becomes very busy, and this can lead to a considerable wait for advice or treatment. Remember also that the nurse or doctor that you consult may not have your medical records and will not be able to advise about routine or non-urgent medical problems. Any contacts that you have with NHS 111 will be notified to the surgery the next morning, and the record of your consultation will be entered into your GP records.